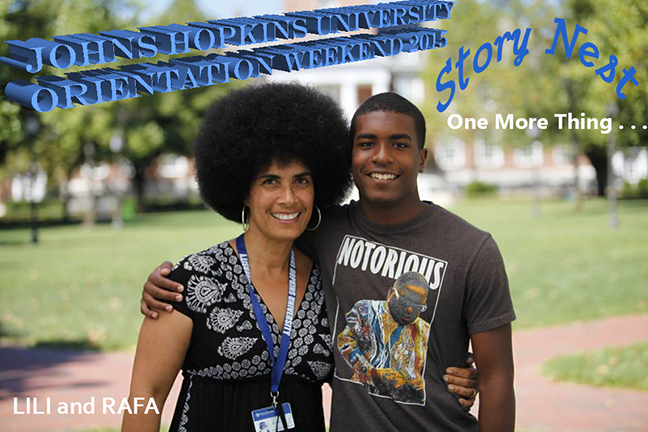 RAFAEL BERNARD FERGUSON, SAG-AFTRA Eligible, born in August 1997, is a college senior, Dean’s List scholar-athlete (environmental engineering major and sprinter on the track team) at Johns Hopkins University in Baltimore. One of the youngest runners on the track, Rafael, debuting in his first ever collegiate race, wins his 60m heat at the Metro Holiday Season Opener on Staten Island, NYC , and places 6 out of 78 runners, most who are sophomores and upperclassmen from an array of universities including Division 1 schools. Ferguson made his collegiate debut Saturday at the Metro Holiday Season Opener on Staten Island. He set a Hopkins’ freshman record and fell just .01 second shy of the school record in the 60m sprint with a time of 6.96. 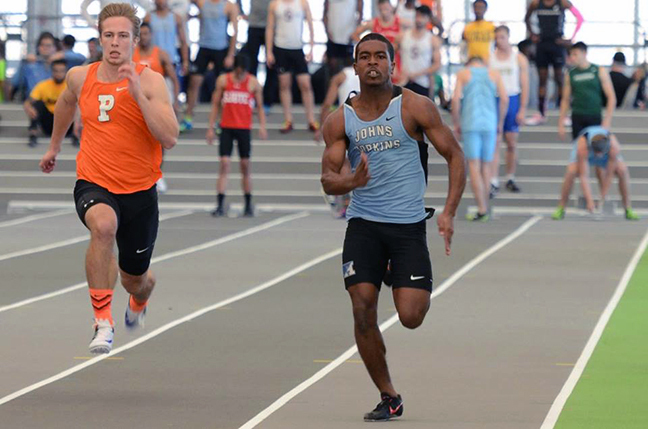 He later competed in the 200m event, finishing in 22.21, the fourth-best time in Johns Hopkins history. 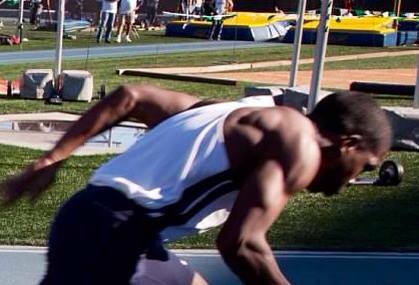 While a senior in high school, Rafa ran a 10.78 sec PR in the 100M Sprint and a 21.80 sec PR in the 200M. In high school he also competed in varsity baseball and varsity football, as well as in varsity track, while playing club soccer off season. Rafael currently appears as a principal actor in two major TV commercials (see below), and sings tenor in our church Gospel choir. He is also gifted in writing and painting and has been teaching himself how to play jazz piano. 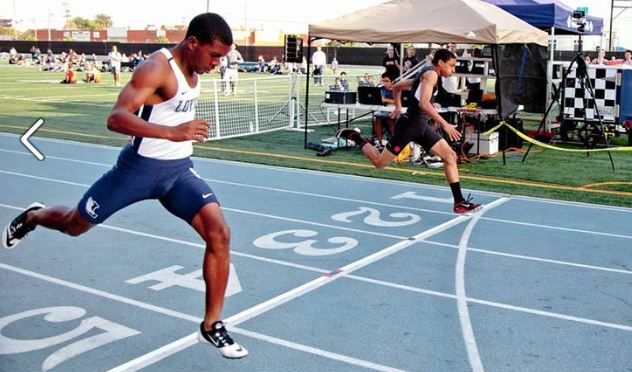 Above: Nike Southern California Invitational, March 14, 2015, Redondo Beach, CA, Rafa runs a 10.78 PR in the 100M and wins heat. 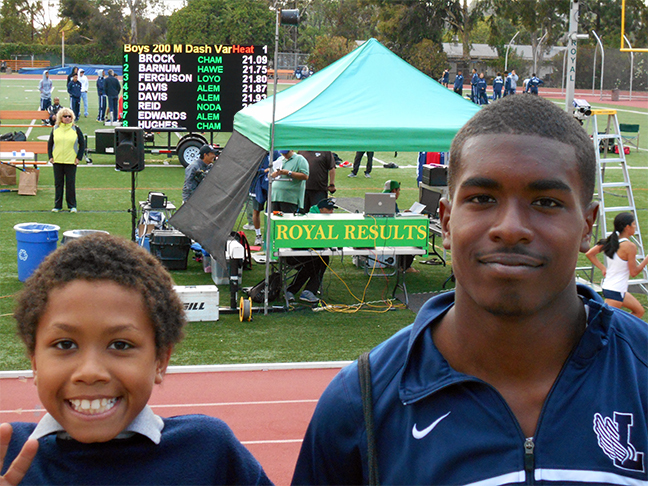 As a high school sophomore, Rafael was the leading runner in the winning 4×100 relay team of the Mission League Finals, May 3, 2013. Rafael presently appears as a principal in these two 2015 TV Commercials for a major wireless phone company – National, Network, Cable, Industrial, Wild-spot and Print, Released August 2015. Rafa is the subject of a videoart piece I made in April, 2014, entitled Ain’t Funny, inspired by Frantz Fanon’s book Black Skin, White Masks. He was 16 at the time I made this video. Rafael in a Disney Ad in Essence Magazine. He’s the boy on the left, standing with the skateboard. 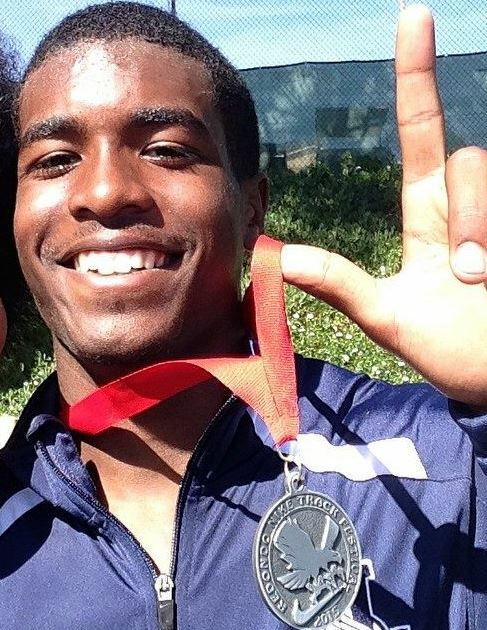 Rafael played football for his Loyola High School Los Angeles football team, grades 9-12. In this film Rafael is a senior, #37. He tackles the kick-returner in the Loyola High School Varsity Football game against Lakewood High School on Friday, September 5, 2014, at LA Valley College Stadium.